At first glance it seems another Leica M more, but in reality it is a unique model in the history of this legendary photographic company: its first vegan camera. Always attentive to the fashions and trends of the market, it seems that Leica wants to seduce also the most aware public that has not only eliminated animal products from its diet, but also from the products that it buys. 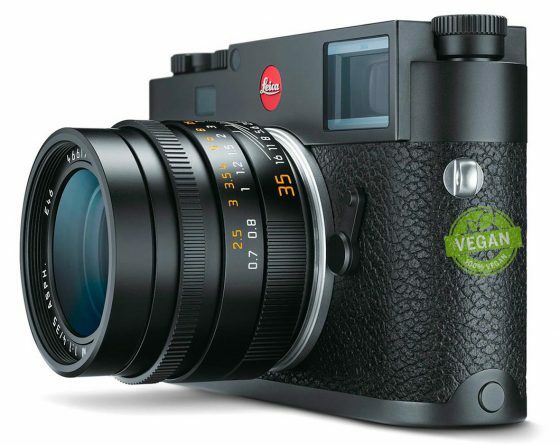 Thus, the new Leica M Vegan (Typ 669) is presented as the first camera in the world certified as vegan. Something that may seem obvious for a lot but in the case of Leica is a change of course, since this model does not use leathers, skins of ostriches, crocodiles or other exotic animals used in some of the most exclusive cameras of the company. This entry was posted in Leica M10 and tagged April 1st, Leica Limited Edition, Leica M10 Vegan limited edition camera. Bookmark the permalink. Trackbacks are closed, but you can post a comment.